A perfect ending to a delicious brunch is always a little of something sweet or at least if you have a sweet tooth like me. If you read my last post, I wrote about breakfast potatoes that were for a Sunday brunch, we topped the brunch off with a cinnamon coffee cake. I had a few ingredients that I needed to use up in the pantry and the fridge. We had some honey that had been sitting in the pantry just waiting to get used and the buttermilk in the fridge was ready to expire. Not finding the perfect recipe I merged a couple of recipes and then changed them even a little more to come up with this marvelous coffee cake. 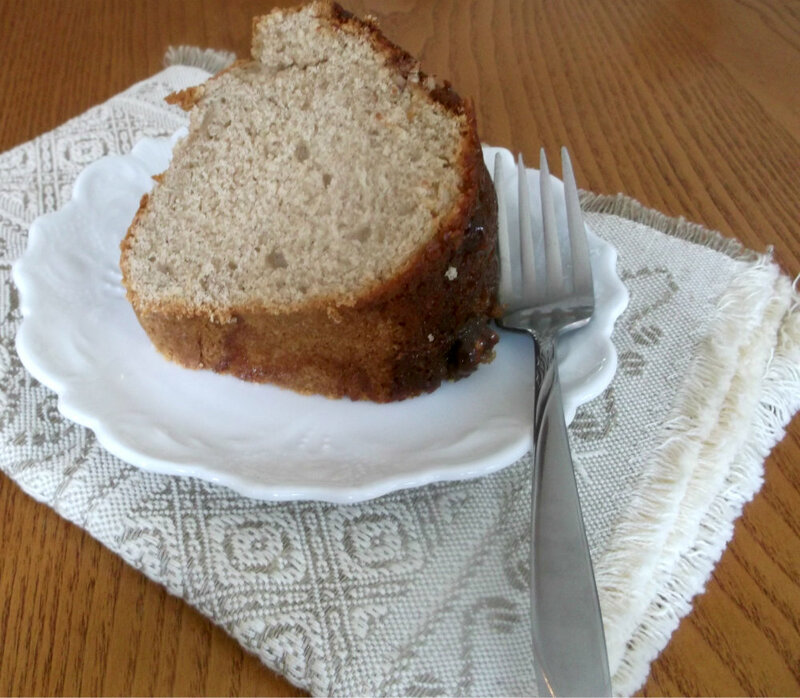 I love the simplicity of this coffee cake. 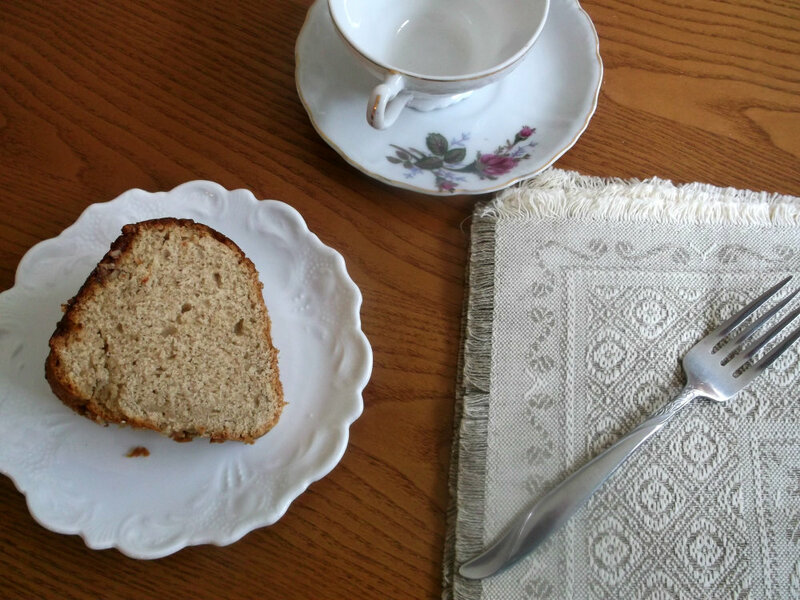 The honey topping and the cinnamon flavored coffee cake will make any brunch a little more special or serve it for a snack at any time of the day. In a small sauce pan combine all the ingredients except for the pecans. Over medium heat stirring until the butter is melted and ingredients are well combined, about a minute. 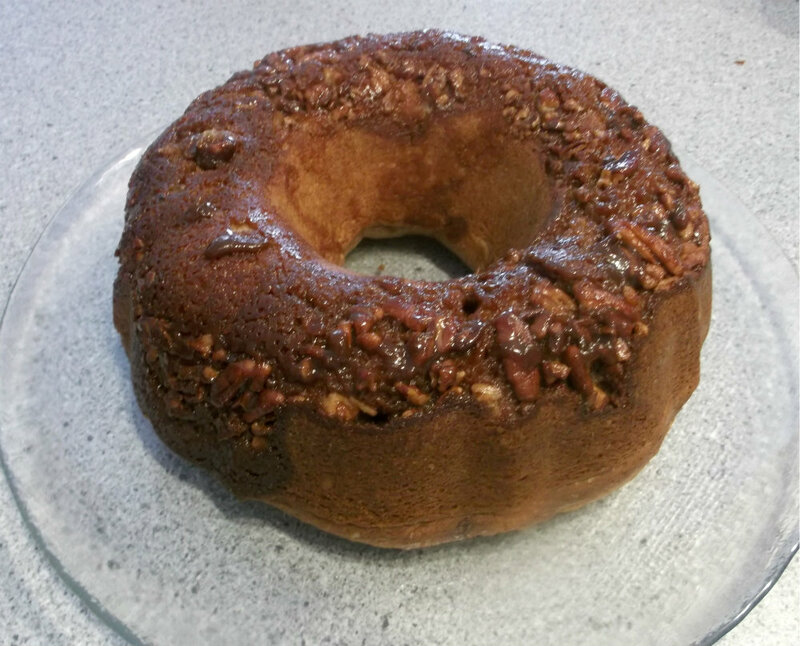 Pour the ingredients into the Bundt pan and top with the chopped pecans. In a large bowl combine all of the dry ingredients. Add the butter and with an electric mixer on low mix until the mixture resembles coarse crumbs. Beat eggs in another bowl, to this add the buttermilk and mix together. Add to the flour mixture and mix just until all the ingredients are blended. Pour the batter over the honey topping. Bake for about 40 to 50 minutes or until a wooden pick inserted in the center of the cake comes out clean. Remove from pan and place on a platter. Cool and serve. Lovely recipe! We’ve really been getting into buttermilk lately, so are always looking for new recipes. This looks terrific! Thanks so much. My kids would be thrilled if I made this for them today.